Sooooo! Looks like I had a week worthy of a recap this past week! YAY! Let’s get this ball rollin’!!! 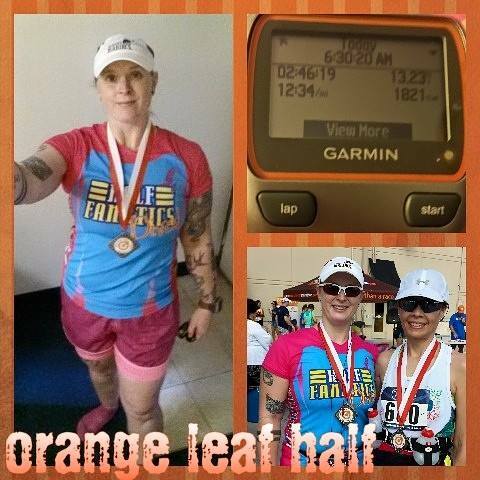 • Saturday: ran the Orange Leaf Half Marathon with my friend Kirsten. It went okay. Nowhere near as well I was hoping it would. I gave up goal A about 1/3 of the way in. Goal B got shot out of the sky a mile after that. Goal C died a couple miles later. Goal D where all I wanted to do was finish is all that happened. Haha. Stay tuned in the next week or so (after I get the official pics I will post it) for my race recap for the full story. 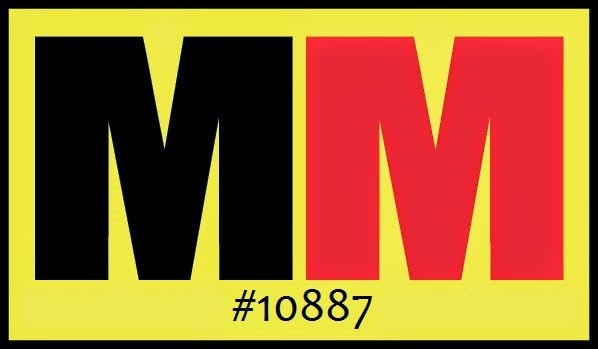 • Sunday: since I was most definitely NOT trained properly for running a half marathon, I was pretty sore all over the place from the half marathon. Seriously…all over the place. Kirsten had recommended post-race that I go for a walk to break up the lactic acid in my muscles. I had originally planned on hitting the gym, but decided it best to follow her advice. 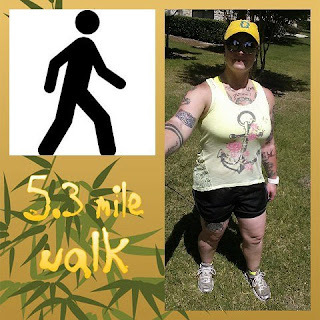 So, I went for a 5.3 mile walk! Got a little sun in the process. About ¼ of a mile into the walk, I realized that I forgot to slather myself with sunscreen. Did I turn around and go put some one? Nope. I’m stubborn like that. Weird thing is, if I had been running at the same time of day for the same amount of time I was walking, I would not have gotten burned at all. • Monday: I had an early morning dentist appointment that isn’t all that far from my house. So, Sunday evening I decided that instead of driving to my appointment, I would ride my bike and then after my appointment, I would take the long way home and get a nice long bike ride in. Turns out the dentist office is 6 miles almost exactly from the front of my apartment building. The appointment took about 50 minutes. My teeth are fabulous, by the way, according to the dentist. YAY! The long way home consisted of 12 miles! Whoa! 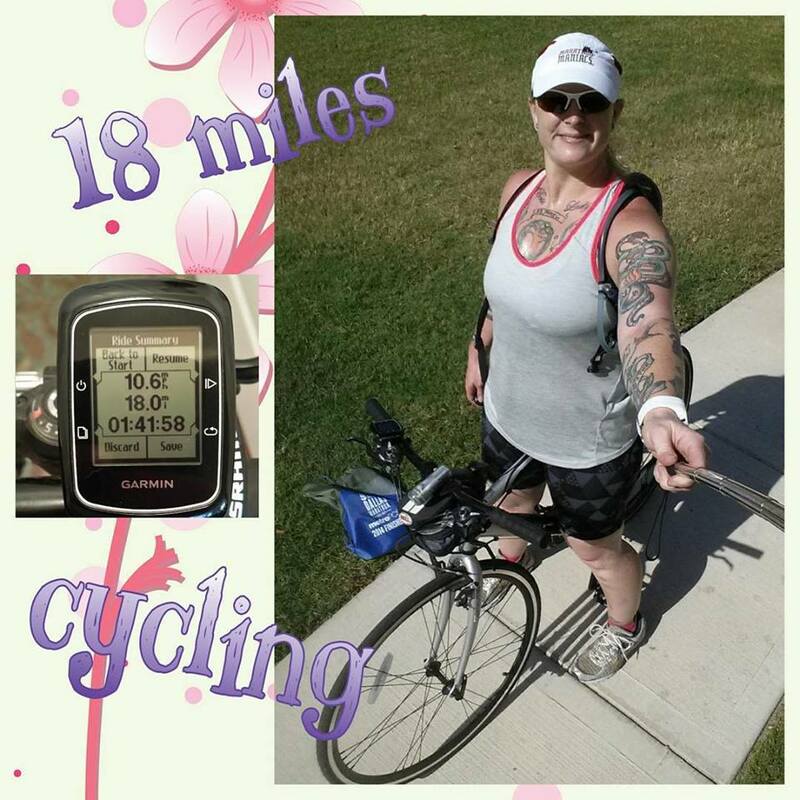 So, a total of 18 miles with a LOT of hills included were ridden. I got to use the cycling setting on my Polar M400 activity tracker. I also got to use my Garmin Edge cycling computer/GPS for the first time! I got up to 26 mph at one point…going downhill, of course. • Tuesday: REST DAY! Also, I worked overtime on the night shift Monday night, so no choice in the matter really. • Wednesday: so, I set up this post at the beginning of the week and put notes like “did I go to the gym as planned?” and such. This day had such a note and I would like to report that YES I did go to the gym as planned this day! I had set my alarm for 8:15 but hit snooze until 8:30. I slept great. You know you’ve had a great night’s sleep when it feels like you’ve been asleep for a really long time. I got up, got dressed for working out and then promptly sat down at the computer. This was payday, so before I did anything else, I had to pay my bills. And while I was online, I ordered my official photos from the Orange Leaf Half, paid registration fees for a couple 5Ks, ordered a couple more of the toe spacer bunion thingies because there was a Groupon deal for them going on. Then, I had to go to 3 different stores to get my vitamins, jugs of water, and some other grocery items. THEN I could go to the gym. At this point it was almost 10:45 before I got to the gym. I have to leave for work at 12:40. That SOUNDS like plenty of time to workout, go home, shower and then go to work. However, I worked a double (16 hr) shift this day, so I had to make sure I had ALL of my food for the entire day, my evening vitamins, enough bottles of water filled up, then I also had to cook my eggs. I was 1 minute late leaving. Whew! Anyway, I kicked it into overdrive at the gym and got a good calorie burn going. I got everything except my 10 minutes on the stair climber done. • Thursday: another REST DAY due to working overtime the night before. I did call and make my first appointment with the EMDR therapist for next Tuesday before work. So, next week I’ll be telling you about how that went! • Friday: we’ll start this day off with I was originally looking to work overtime on the morning shift this day. However, after partially failed sleep Thursday morning due to my neighbor moving out of her apartment and then doing kitchen upgrades in it before the next person moves in and there was a lot of banging about going on and I missed out on about an hour of quality sleep as a result, I opted to not get just 4.5-5 hours of sleep and skip the overtime even though I did really want the money from it. I did, in fact, make it to the gym after getting a fantastic full night of sleep! 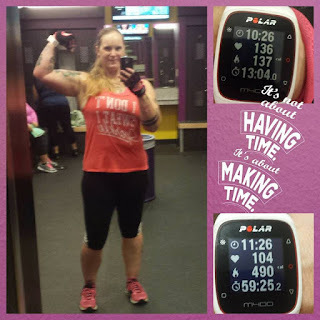 Going into this workout, I was planning to do 10 minutes on the stair climber, do my strength training circuit of 90% of the machines, then hit the stair climber for another 10 minutes. However, I upped the weight I was using on most of the machines so by the time I got done with my strength training, I was done and ready to go. So I did. I am so beyond proud of myself for this week. 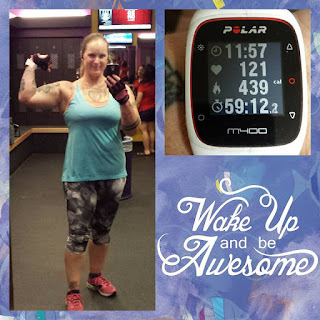 Every day that I was able to and had the time to workout (aka – not working a double shift) , I actually did!!! This might seem like a small thing to some of you, but right now, with how sketchy my motivation and drive to go workout and then the complete lack of follow thru that I’ve been suffering from as far as my workouts is concerned, this is huge for me. Also, I went back to eating according to a structured eating plan and stayed within my calories all week as well. Something else I would like to recap from this week is that I decided it was time to start actually tracking what I put in my mouth everyday instead of just logging into MyFitnessPal every day so I can keep up my log in streak. My weight has creeped back up over 190 and that is just plain unacceptable. I need to lose 20 lbs. I need to lose more, but I’m just going to focus on 20 instead of 28. Seems like a much more manageable number, don’t you agree? That last 8 is pretty much just a vanity 8 lbs anyway. But I seriously need to drop the 20. I want to lose this 20 lbs by the time of the renaissance festival, mid-October. I want to look good in my costumes and not have to worry about if I will fit into them. So, 3 months to lose 20 lbs. I can do this! Tuesday, since I had worked overtime Monday night and got off work at 6am and had to wake back up shortly after noon to be back at work by 1:45pm, I usually pack my cereal and eat it in my car in the parking garage at work. Well, about 2 miles from my apartment on my way to work I realized I didn’t pack my cereal. I had to stop at the gas station for gas anyway so I figured I’d go in and see what healthy options that weren’t expensive (day before payday, you know) that I could get to eat. I ended up with 2 of those single-serve portioned out things of Cherrio’s and a 2 cup bottle of 2% milk. I would have really preferred to have almond milk. That 2 cups of 2% milk was 260 calories all by itself! The cereal was 300 by itself. Oh well, I still stayed within my calories for the day. Not as much within my calories as I would have been had I remembered my own cereal, but it worked out in the end. I said on Wednesday that I registered for a couple 5Ks. For the past couple years, I have ran the Schlotzsky’s BunRun. 2 years ago, before it moved to its current time of the year and physical location, and when they also still had the 10K option, I ran the 10K. Last year, I ran it at its new time of year and location as a 5K (that’s the only option they have for it now). I found out about a smaller local 5K early last month that benefits a fund for people with melanoma cancer called Fight Like a Girl 5K. I found out this past week that the BunRun is scheduled for the same day as the Fight 5K is. So, I had to decide which one I wanted to do more. I decided to go with the Fight 5K. I also registered for the Run With the Heroes 5K that I have done the last 2 years. This year we are running in honor of Travis County Sheriff’s Deputy Hollis that was killed in the line of duty during heavy flooding last year. Since I’m a member of Team Sheriff, I’ll be getting a tech shirt that is being made in memoranda of Deputy Hollis. 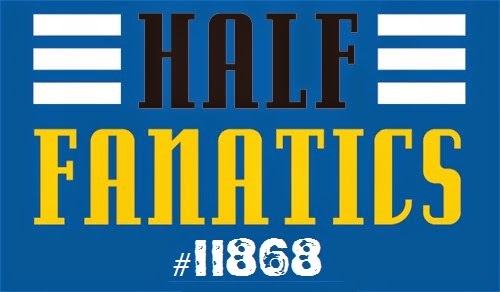 I plan to wear the shirt when I run the race. 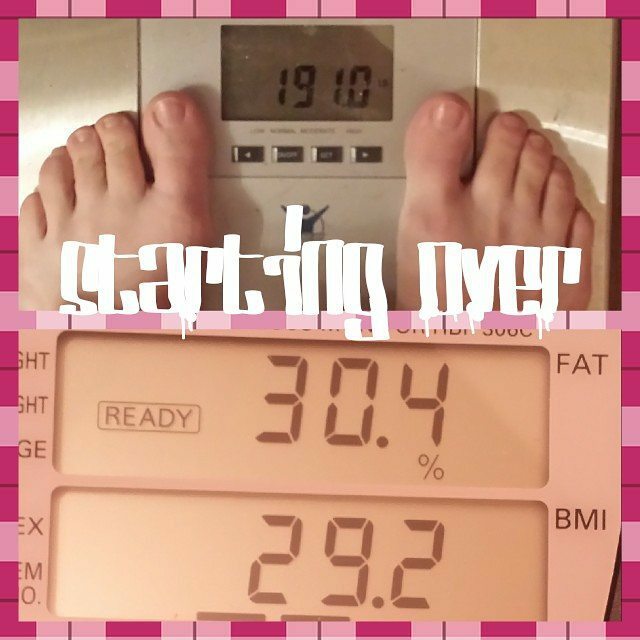 So, I randomly stepped on the scale last week on Friday, I think. I had no particular purpose or reason other than I was just curious. 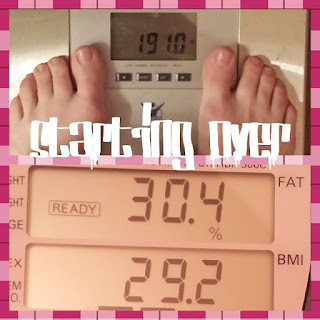 I hadn’t stepped on the scale in quite a while…probably about a month, maybe a little more. I was a little disappointed to see that all the weight I had lost during my 90 day challenge that ran from mid-December to mid-March was back. Plus a couple pounds. Ugh. That mixed with me actually making an effort this week with getting my workouts done and I think I’m going to start doing my weekly weighins and Omron measurements. I was going to do my different inches measurements, but I forgot to do that when I go up this morning. I'll do them tomorrow morning if I remember and post them tomorrow by themselves. I have lost 2 lbs since I stepped on the scale last week on Friday out of curiosity. So, while I had hoped my efforts had garnered a little more of a drop than 2 lbs, I'll take what I can get.